There was a disturbance in the force when Sega first teased the live-action CGI Sonic the Hedgehog. « Look at his thighs, » the internet murmured, « look at…his fingers. » But even then, we didn’t really know what our CGI speedster would like. Until now, that is. Hamagami/Carroll, Inc. an ad agency representing the upcoming Sonic the Hedgehog live-action film, seems to have accidentally uploaded an advertising deck for the upcoming film. Along with style guide specifications for the film, Hamagami/Carroll also included photos of what look to be Sonic’s final design. And he still looks weird. Oh jeez, not like this. | Hamagami/Carroll, Inc. If I had to break it down, I think it comes down to the proportions of Sonic’s body. His head is much larger than I expected, and his body is way more oblong than I feel is natural. And now that I think about it, there’s something offputting about how Sonic wears human shoes but not human pants. It only took the live-action incarnation for me to realize how strange that is. Reactions to the initial teaser of live-action Sonic didn’t go over too well. And not in a Detective Pikachu kind of way, where everyone eventually came to see the cuteness in realistic-looking Pokemon. Reactions to Sonic’s shadowy buffness was so strange that even Sonic the Hedgehog script writer Patrick Casey had to tweet, « Everybody relax, » following the teaser. I will say it looks like Paramount may have made some changes based on fan feedback. If you notice, Sonic’s thighs look noticeably less defined. Compare the new images of Sonic with the original teaser, or this promotional standee focused on Sonic’s buff calves. 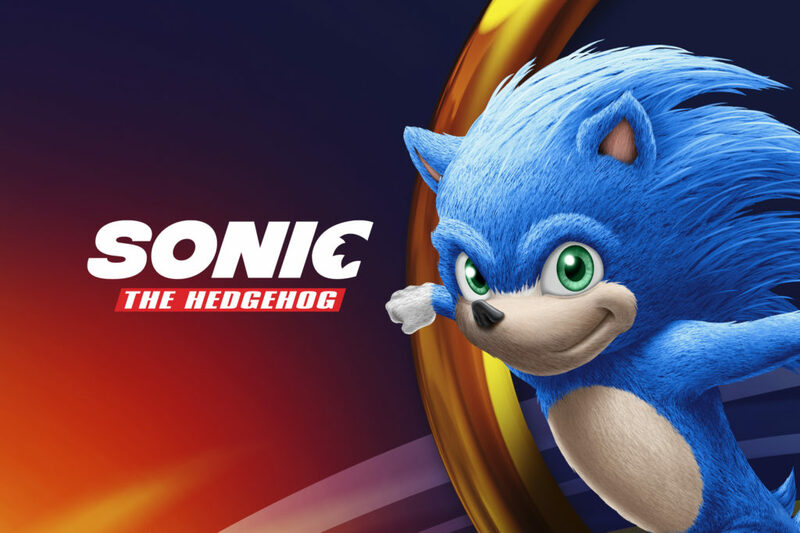 Sonic the Hedgehog is slated for a November 8, 2019 release date. It will mix CGI elements with live-action (like Detective Pikachu). Ben Schwartz (Parks and Recreation) will voice Sonic, while James Marsden plays a human sheriff who works alongside him. Jim Carrey will play a live-action version of Dr. Ivo Robotnik. We’ll have to wait a bit longer until an official trailer confirms Sonic’s final appearance in the film. But until then, here’s Larry King’s Sonic the Hedgehog impression, which feels pretty appropriate following the latest developments. Header image from Sega, Paramount Animations, Hamagami/Carroll, Inc.